The Chancellor of Peralta Community College District, Dr. José M. Ortiz, announced today the selection of Dr. Patricia Stanley, who has served as the First Deputy Assistant Secretary for Community Colleges at the U.S. Department of Education, 2006-09, as the interim President of Merritt College. 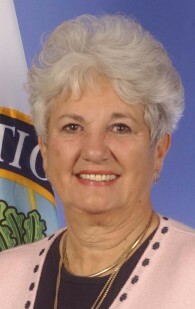 Dr. Stanley, former President of Frederick Community College in Maryland, has held a number of positions in California, including Administrator for Workforce Development in the State Chancellor’s Office, Administrative Dean at Orange Coast College, Executive Vice President at Cypress College and Executive Director of the California Institute for Career Development. Dr. Stanley holds a bachelor’s degree from Wittenberg University in Springfield, Ohio, a master’s degree from the University of Southern Mississippi, and an Ed.D. from the University of the Pacific in Stockton, California. She is active in numerous community and educational organizations at both the state and national level. Dr. Stanley has also participated in international education programs in Kuwait, Thailand, the former Soviet Union, China and a number of countries in Europe and Scandinavia. Dr. Stanley’s recent professional activities include her work as a co-editor and chapter author for the 2011 publication Fulfilling the Promise of the Community College: Increasing First-Year Student Engagement and Success, a monograph published by the National Resource Center for The First-Year Experience and Students in Transition and co-sponsored by the American Association of Community Colleges. Her exact start date has not yet been determined, but Dr. Stanley is expected to begin her post as interim President at Merritt College in September 2012. She will remain interim President until a permanent President for the college is selected. Merritt College, located in Oakland, California, is one of the four Peralta Colleges, which also include Berkeley City College, College of Alameda and Laney College, also in Oakland. The District, which includes the cities of Alameda, Albany, Berkeley, Emeryville, Oakland and Piedmont, provides classes for more than 28,000 students each semester. I’m a parent. Lot’s of students can not find space in English 1A. All of the English 1A Class and Waiting list are full long time ago. Please offer more English 1A Classes as soon as posible. Have a nice day!